Christy Dorrity Author: A Circle of Sisters anthology giveaway on Goodreads, and I'm in it! 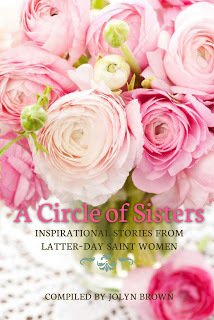 A Circle of Sisters anthology giveaway on Goodreads, and I'm in it! This is so exciting! I have a story in this fun and inspiring book. A Circle of Sisters is now on Goodreads and Walnut Springs will be giving away three free copies of the book. Click here to enter! And share the news! Don't forget to put it on your To Read list! Look into the lives of ordinary Relief Society sisters as they share 50 stories of love and service. Whether it is facing a new calling or dealing with the sickness or loss of a loved one, these stories testify of the very real power of women devoted to God and His work. In trial and doubt, in faith and in joy, sometimes all it takes is a circle of sisters to change a life for the better.